We continue our look at patterns in the Astrology chart. See our posts from April 23, 25 and May 2, 2018 for more information on other patterns. 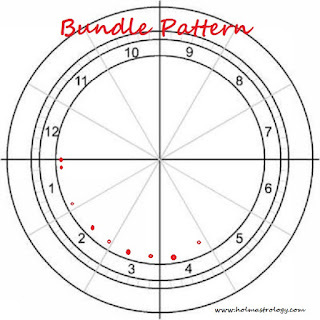 The Bundle or Cluster pattern has similar energies to that of the Grand Trine as the individuals with this patter are self-contained, often self-motivated and in many cases, will not reach out to others for support. This, of course, is not written in stone but these individuals will feel very self-reliant and focused on specific areas connected to the area concentrated within this bundle. 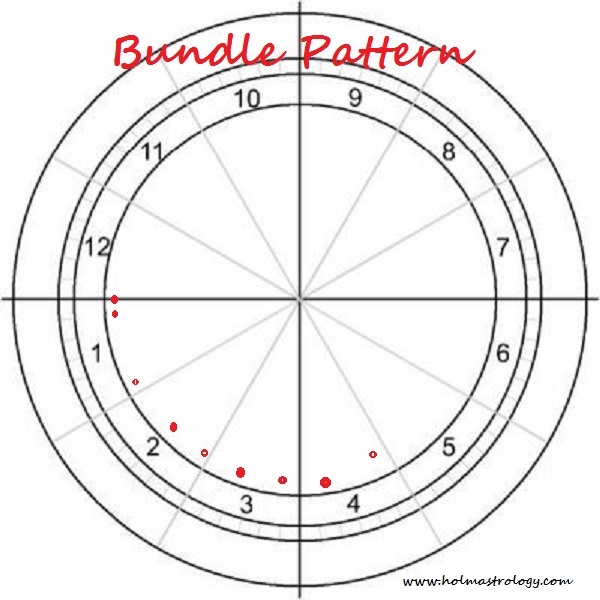 The Bundle pattern is identified by the planets being found within a 120-130 degree are of the whole Astrology chart. They are connected by a trine (120 degrees) up to and including 130 degrees. An example of this might be an individual who has Mars as the first planet beginning this configuration at one degree of Cancer and at the opposite end this individual could have Jupiter in Scorpio at 10 degrees. The rest of the planets and luminaries fall between these two outer planets and do not create a Stellium. These individuals are somewhat limited in their perspective. The houses and signs which the planets are located in within the chart are the specific areas of their personal focus. 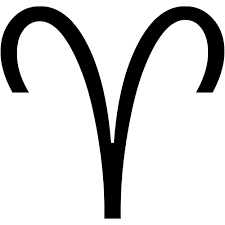 For example, someone with the signs ranging from Aries to Leo will use the energies of this pattern quite different from someone with the signs from Scorpio to Pisces. The area of focus will be the area of intensity and understanding and they will be able to develop these areas of life to the utmost throughout their life’s journey. The first planet that begins the configuration moving clockwise is often found to be the driving force or describes the energies used that will bring development to the midpoint of the area encompassed by the planets. So continuing with the description of Mars at one degree Cancer and Jupiter at the other end at ten degrees Scorpio, the midpoint would be Virgo at five degrees and thirty minute.